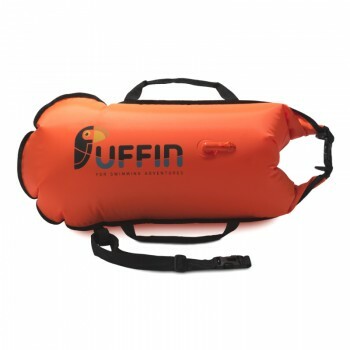 The Puffin Billy 28 Drybag Tow Float is a 28L bright tow float to help make you more visible to other water users whilst swimming. 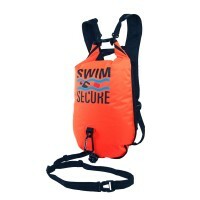 Along with the increased safety it can be used to store items whilst swimming. Its lightweight, durable and tough. 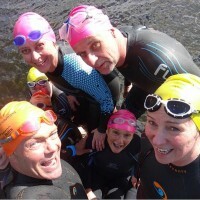 Designed with Optimised Streamlining to reduce drag to a minimum whilst swimming. 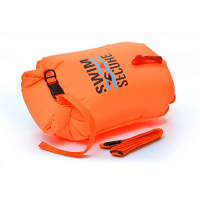 Recommended to all outdoor swimmers who want to carry items whilst swimming and for everyone who wants to be extra visible in the water to help keep them safer. The Puffin Billy 28 Drybag is a 28L bright and light tow float, its main purpose is to help increase your visibility to other water users, especially boats, and therefore increase your safety. 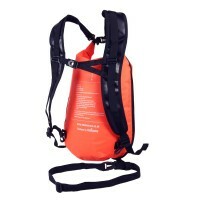 It easily attaches around the swimmers waist with the adjustable waist-strap and leash, the Billy Drybag will then float above the swimmers thighs, out of stroke range whilst swimming. 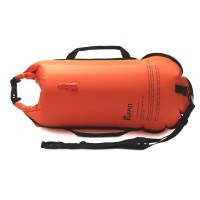 The float is ideal for holding onto in the water to when taking a break or to boost confidence. 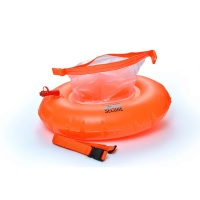 The waterproof storage compartment is separate from the 2 inflatable air chambers. Pop your items e.g. keys, flip-flops inside the storage compartment seal the bag with your items inside, then the air chambers can be fully inflated so they are stretched taut which reduces the drag. 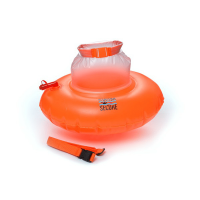 The float can be used in all swimming conditions, with or without your gear inside. The Puffin Billy 28 Float is designed with Optimised Streamlining, which means the float’s shape, the valve position, the low tow point and the direction of tow are all designed to reduce drag. The Puffin Billy Drybag Float is perfect for swimmers who want to be seen in the water and have the extra confidence a float can provide. 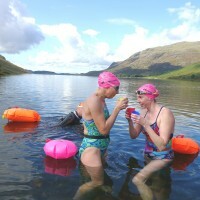 Its perfect for swimmers to take some items with them whilst swimming, either regularly or occasionally. 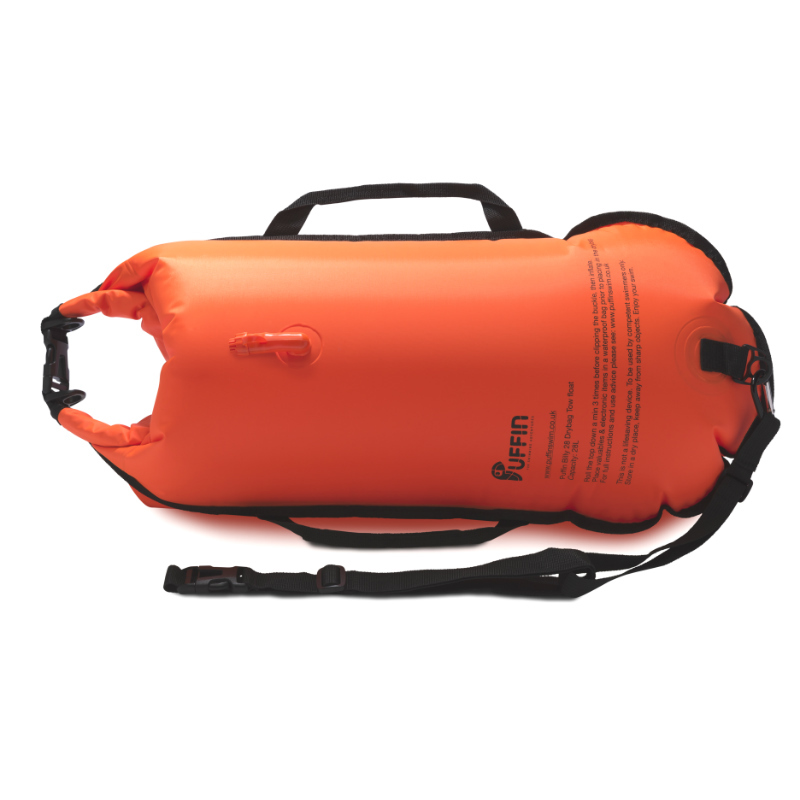 Top Tip: Tie a Swim Safety Whistle to your dry bag float, they are very useful for communication with others and in emergency situations. Bring the 2 clip ends together and clip it closed. 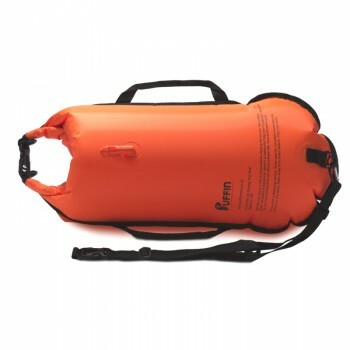 Inflate the drybag float by using the fast flow valves on each side of the float. 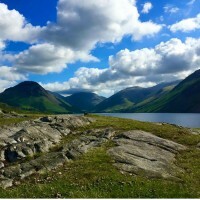 We recommend less air in the bottom chamber, if you re carrying items, to keep the centre of gravity low and reduce drag. 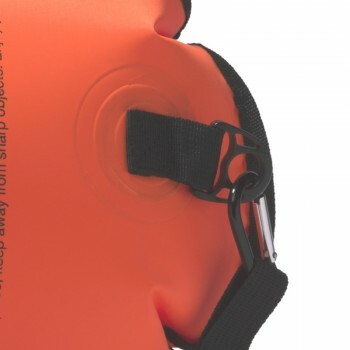 Attach the karabiner clip on the leash to the float. Attach the waist-belt to the leash by threading the waist belt through the loop. 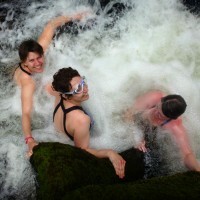 The leash length can be adjusted to swimmers preferred length. Clip the waist-belt around your waist and away you go. To deflate simply take the little caps off the valve, turn the cap over and push the back of the cap into the valve to deflate. 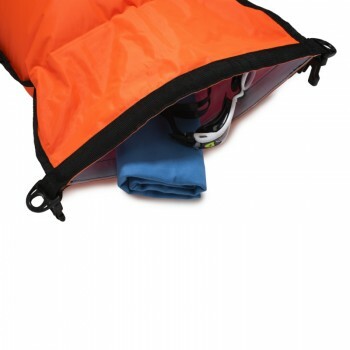 NB: We recommend placing electronic items inside a waterproof bag before placing inside the drybag. 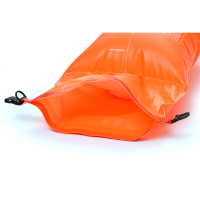 The Billy Drybag float is not a lifesaving device and is for use by competent swimmers. It is not designed to be submerged.